I’m such a sucker for dogs in costume. 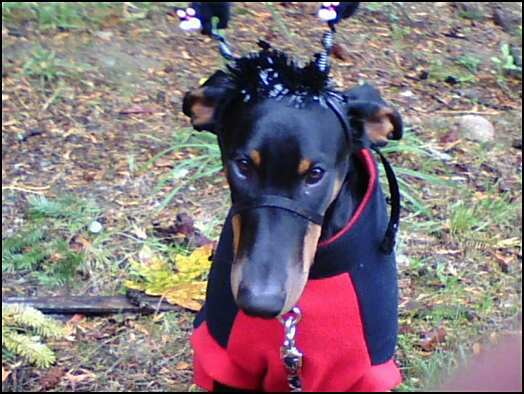 Would you please check out Barkis in his ladybug get-up? Idaho rancher Justin Hunt has loved only one woman, Lily Spencer. When he learns the Seattle lingerie designer has a daughter who bears an amazing resemblance to him, he’ll stop at nothing to claim them both. But Lily doesn’t trust the cowboy who once broke her heart and before she’ll let him into her life, Justin will have to prove that this time, he’s going to stay. And a bit of publishing trivia–this line of books, Silhouette Special Edition, is where the bestselling author on the planet, Nora Roberts, got her start. And her editor was the ever-entertaining Isabel Swift. There’s a delightful note from Lois here. What are you waiting for? Spend the weekend with a cowboy. I love having company. Especially when it’s Isabel Swift, one of Harlequin’s top executives. She was in Seattle so we got to hang out for a while, talking business and books. We brainstormed some ideas, had an amazing meal and caught up. She’s definitely on the fun side of publishing. Go read her blog. You’ll learn a lot. …And the same week, Deeanne Gist, a Christy-award-winning author and friend from waaaay back took a break from her book-research trip to stop by. I first met Dee a hundred years ago when I was new and she was just getting started. I knew she would publish her novels one day. How? Commitment. She had four small children, but she went to the RWA conference in New York, bringing peanut butter and crackers in her luggage in order to make the trip affordable. Would you do it? Leave your family and subsist on peanut butter in order to meet the people who will help you get published? Sometimes, that’s what it takes. Now Dee has published numerous books, won a major award and the kids are in high school and college, one of them about to be married. A writer knows how to make her own happy ending. Here’s an article in today’s New York Times, about the New York Times bestseller list. Hmmm…. 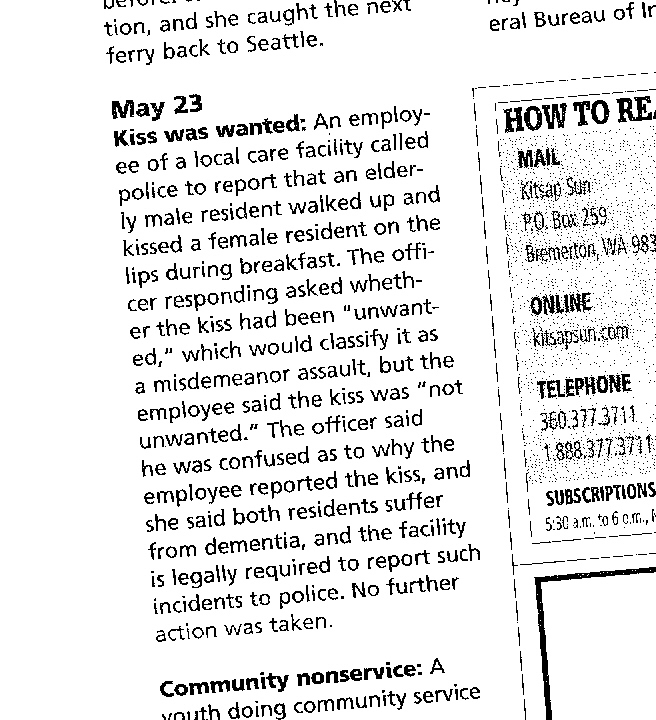 Police Blotter – volume 2: The kiss was not unwanted. Another gem from the blotter…Just another day on the island. Elizabeth Engstrom came for a visit. We met years ago when she was the director of the Maui Writers Retreat, and we’ve been friends ever since. She’s a fantastic writer, editor and innovator. There is nothing quite so relaxing as hanging out with friends, talking endlessly. 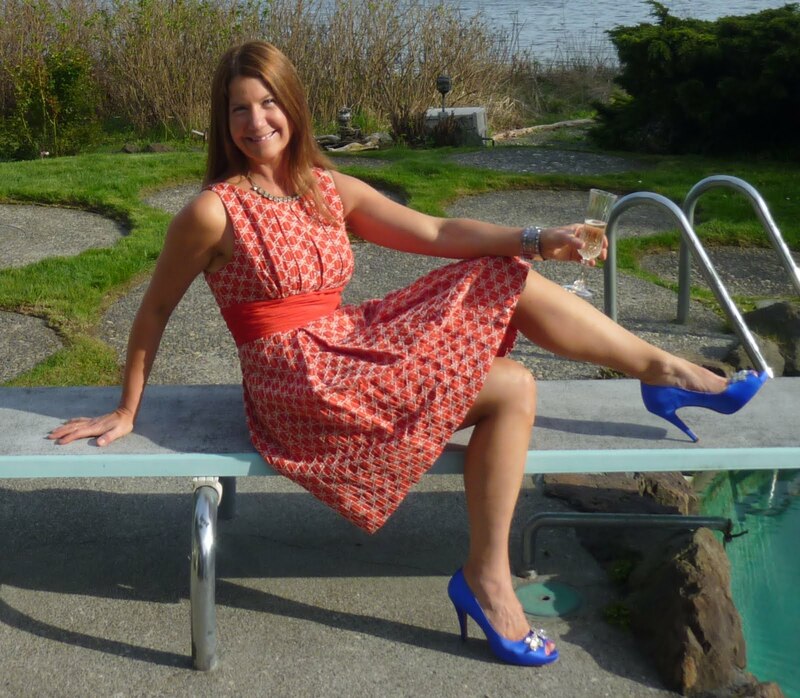 Liz also has a very wise new blog that is fast becoming a favorite. It’s one of the most genuine, funny, poignant and meaningful blogs on the net. I’m posting this picture now, during a walloping autumn wind storm, so I can remember that just a few weeks ago, we were sitting in the Adirondack chairs on the beach, watching the dogs play. I will never have more discipline than I have right now. There are many things I hope to accomplish (there’s that whole thing with yearning again), and they all require some aspect of discipline. Clearly, after procrastinating all these years, I can afford another week of bargaining with myself before lowering the hammer. But then I need to take action. I need to either get on with it, or give up on it. Some dreams I’m sure I will give up. But some dreams I don’t want to give up. So I better get on with it. Identify the goal, make a plan, and assign the discipline. Look for more about Liz next year, when her new series, The Northwoods Chronicles debuts. We lost a big alder tree (along with power for a few hours) in Thursday’s wind storm. Here’s a cell phone pic. Barkis was excited! Me, not so much.